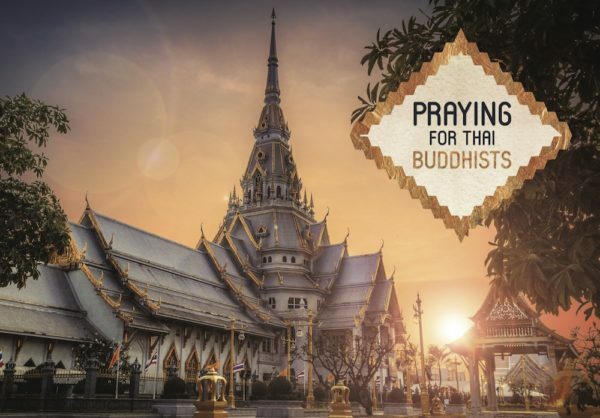 The ‘Praying for Thai Buddhists’ PDF is a downloadable digital file. A printed copy of the prayer guide is also available. The Thais are known for their famous smile. But the sad truth is that it is often only a mask which hides a lot of brokenness. The Thai Buddhists are one of the 10 largest unreached people groups worldwide. Yet until today most Thai Buddhists never heard the Gospel of Jesus. After 200 years of missions in Thailand only 0.2% of all ethnic Thais follow Jesus. The key to breakthrough in this nation is prayer. Our goal is to win 10,000 people who will pray for Thailand so that we’ll be able to see spiritual breakthrough in Thailand. The prayer guide “Praying for Thai Buddhists” will be a great help for everyone who wants to pray for Thailand. The prayer guide contains 30 key topics for 30 days of prayer for Thailand. 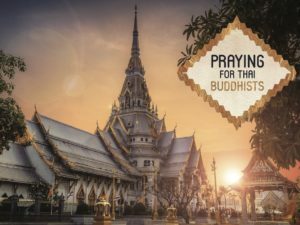 Every day a small story, background information and prayer points give insight into Thai culture, true Buddhism and the problems of missions in Thailand. The prayer guide was written by missionaries working in Thailand from several mission agencies. Beautifully illustrated the prayer guide is a joy to the eyes. Thanks for joining us in prayer for Thailand.